How much is Chris Pratt Worth? Chris Pratt net worth and salary: Chris Pratt is American actor who has a net worth of $40 million dollars. Chris Pratt was born in Virginia, Minnesota, and was "discovered" while working at a seafood restaurant in Hawaii. He began his professional career with a role in the horror film, Cursed: Part 3, in 2000, and then went on to a variety of film and television roles. He has since appeared in films like Strangers with Candy, Wanted, Bride Wars, Jennifer's Body, Take Me Home Tonight, Moneyball, The Five-Year Engagement, Zero Dark Thirty, and Movie 43. He also played guest-starring or co-starring roles on television shows like, The Huntress and The O.C.. He is most widely recognized for his starring roles on Everwood and Parks and Recreation. In addition to his on-camera career, he has also provided voice work for Batman, The Lego Movie, and Ben 10: The Ultimate Alien. In 2009, he married fellow actress, Anna Faris, who he met on the set of the film, Take Me Home Tonight in 2007. The couple also has a son, Jack, who was born in August of 2012. In 2014, he appeared in Guardians of the Galaxy and in 2015 he appeared in Jurassic World, both of which were monster hits at the box office. Between June 2016 and June 2017, Chris earned $18 million from his various endeavors. 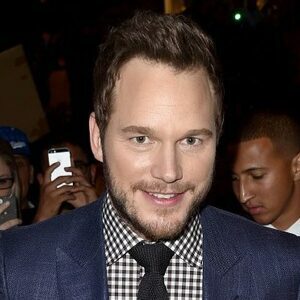 Pratt starred as Andy Dwyer on the TV series Parks and Recreation from 2009 to 2015 and was nominated for a Critics' Choice Television Award for Best Supporting Actor in a Comedy Series. He has also starred in films including The Magnificent Seven, Passengers, and Guardians of the Galaxy Vol. 2. Pratt will continue his roles as Peter Quill / Star-Lord in the Marvel universe and as Owen Grady in the Jurassic Park film series. He has been nominated for many awards and won a Saturn Award for Best Actor for Guardians of the Galaxy.